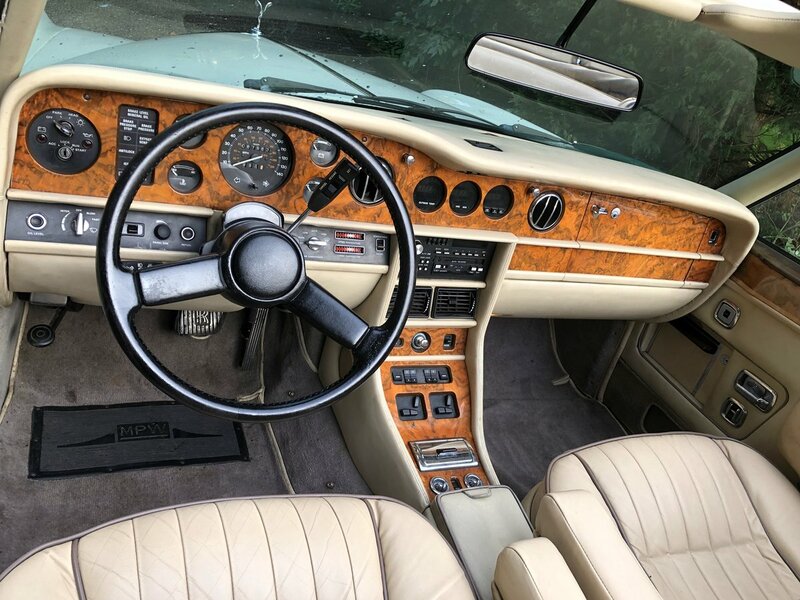 Presented in Rolls Royce white with Mushroom hood, Parchment leather piped in mushroom with matching mushroom carpets. 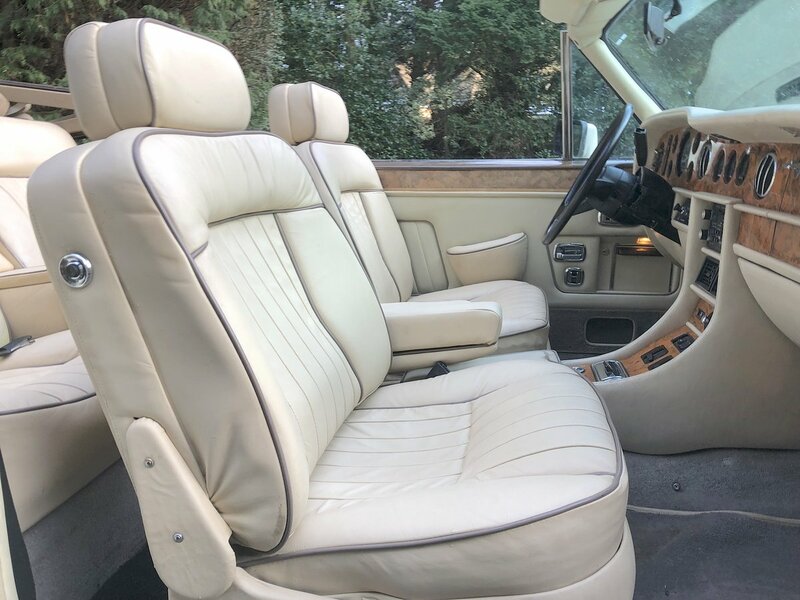 Electric roof, electric seats, windows and mirrors, PAS, CDL, Stereo, Air-conditioning, cruise control, Telephone, Cocktail cabinets with crystal glasses. 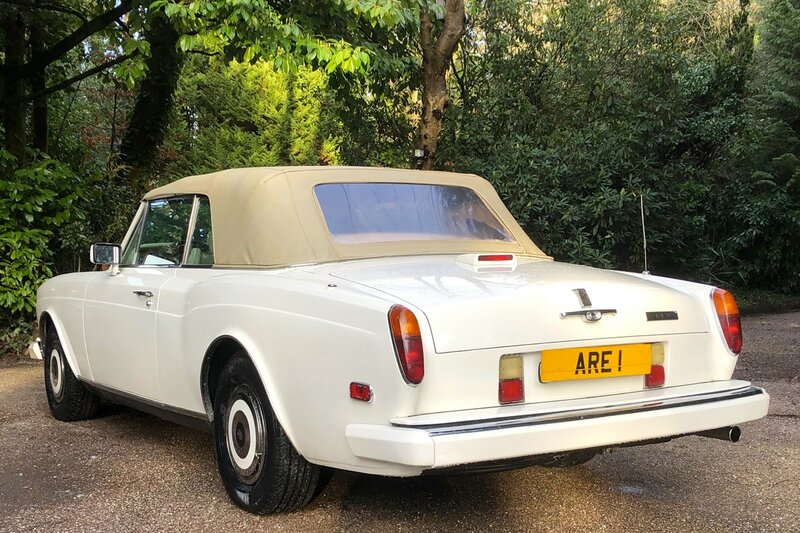 This series II Corniche was built to the exact order of her first owner and delivered via Max of Switzerland to Los Angeles in spring 1988. 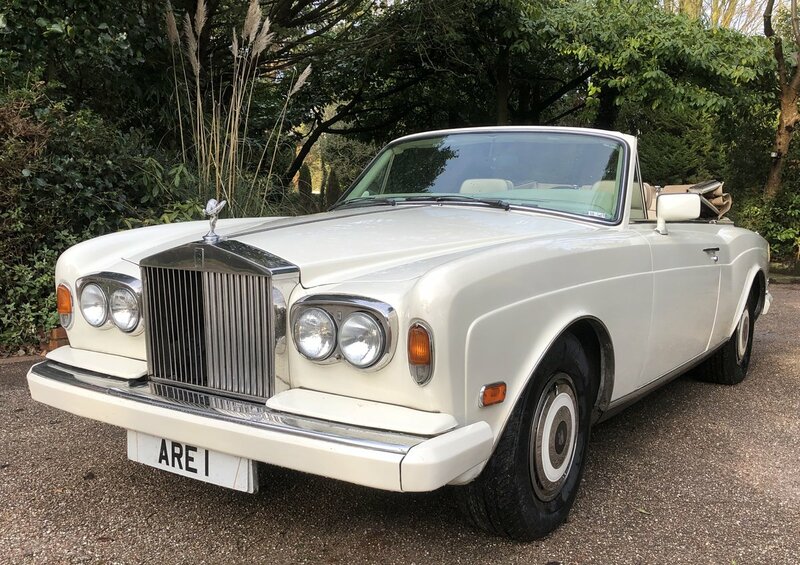 Returned to the UK by her last owner a multiple Rolls Royce owner and RREC member. 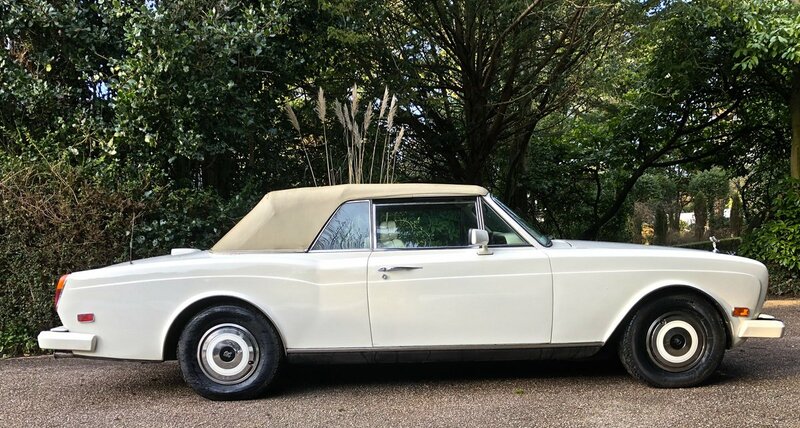 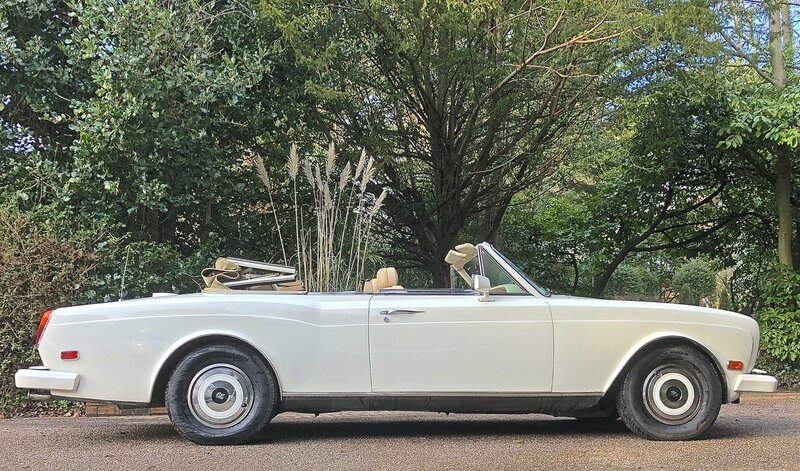 We have driven this low mileage Corniche II some distance and she performs well and is the more responsive EFI model and is an excellent entry in to convertible Rolls Royce ownership. 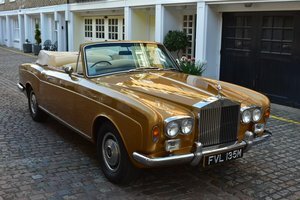 Mulliner Ltd Specialist dealers in Rolls Royce, Bentley, Ferrari, Bugatti and historically important motorcars for over 28 years. 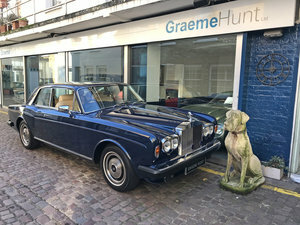 We have an extensive selection of motorcars from vintage to modern so if your considering buying or selling a Rolls Royce, Bentley or Ferrari of any age or condition please telephone the above number for a chat.